Rolling Loud is an elite Hip Hop Festival based on its lineup alone. 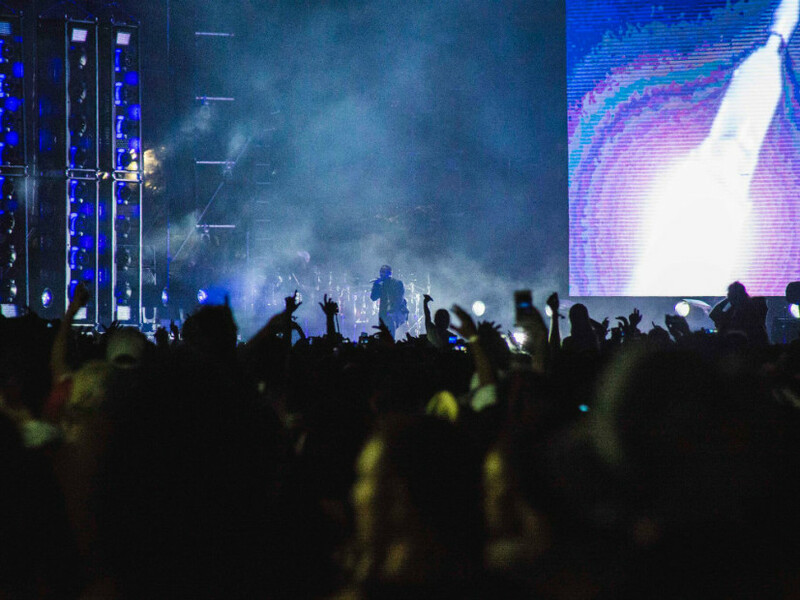 In its third year, the event decided to move to Bayfront Park, home of electronic music mega-festival Ultra, and it’s evident Rolling Loud has plenty of room to grow into the space and its place in Hip Hop history. 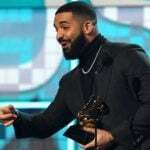 Boasting six headliners — Lil Wayne, A$AP Rocky, Young Thug, Kendrick Lamar, Travis Scott and Future — and a huge undercard of opening acts from around the country, the festival had thousands of fans flocking to Miami to get their fill of the latest sensations. But perhaps the stacked lineup was also a setback, as fans had to pick between two acts of similar stature or run back and forth between stages to catch both sets. The West Coast was really only represented by Kendrick Lamar and YG (who was performing because Kodak Black was sitting behind bars). A$AP Rocky and Joey Bada$$ held it down for New York while Atlanta was present in full force with Future, Migos, Gucci Mane and Lil Yachty getting their shine. The crowd seemed genuinely excited for each performer. 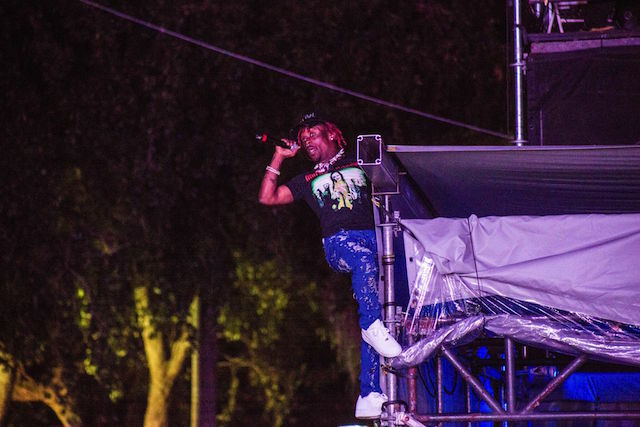 Lil Uzi Vert was up to his usual antics as he jumped into the crowd from the photo tower. 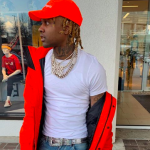 But it was evident Rolling Loud was a family affair for the South Florida rap scene. XXXTENTACION showed up to his Saturday evening set rolling so deep that not everybody could make it onto the stage, which had a capacity limit of 48 people. Ski Mask The Slump God was there. Rob Stone was not. Denzel Curry was in the crowd jumping around for many of his friends’ sets, including wifisfuneral. Zoey Dollaz put on for Miami and Freebandz earlier in the day before Future gave him a shoutout during his headlining set. As the local scene continues to grow, Rolling Loud has a great opportunity to establish itself as a tastemaker and credible platform. It’s evident that Rolling Loud is still learning the ropes of festival life, as there were some hiccups in regards to access and who was supposed to be allowed where. The last day, there were a few swaps between the stages that had crowds groaning. There also seemed to be some capacity issues. Tickets were “sold out,” but events like Ultra fill the space more and have several stages, rather than the two for Rolling Loud. The Monster Energy Stage (where Migos was originally supposed to perform) was packed while the Postmates Stage (where they ended up), which filled up in its own way, was much more breathable throughout the festival. So far, Rolling Loud has yet to give Hip Hop a reason to write a page in the history book like the platform that Hot 97’s Summer Jam provided for the Jay Z and Nas beef. 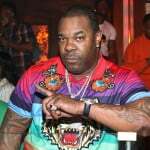 If anything, the festival might turn out to be known as the vacation getaway for rappers, considering its location in the heart of Miami and the overall laid-back vibe. Each artist was given a trailer and a gold chain with the Rolling Loud logo (fans could buy their own version for $80). There were many after parties around the city at the hottest nightclubs in town. Fans could catch Future at Cameo, which is where, he said on Snapchat, “all bad bad bad tings” go. In the grand scheme, Dope Entertainment will be a name to know as the company continues to establish itself among fans and experts. 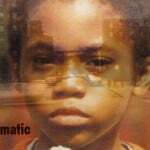 Hip Hop is an evolving genre that has defied the status quo while becoming mainstream itself. 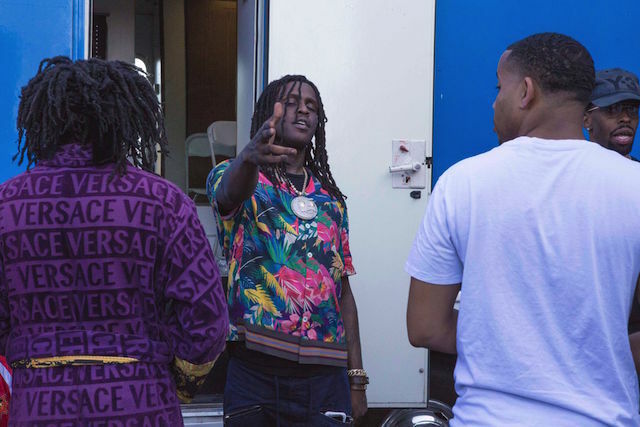 Chief Keef performed a full set with an arrest warrant out for him. And what’s more Hip Hop than that?